As paleontology neared the end, students were able to demonstrate what they learned throughout the course by designing research experiments. 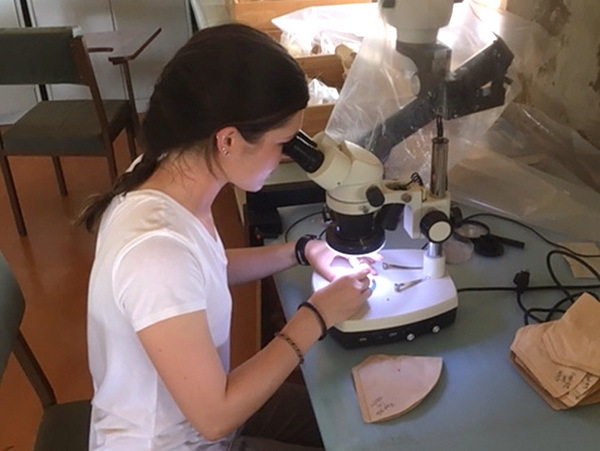 These projects focused on a wide array of paleontological methods and topics including excavation, tooth wear, and how an animal’s chewing rate correlates with its body size. The students worked quite hard on these projects and we are proud of how they turned out! Shelby, Jessica, Leah, and Felix point to their excavation site. Photo credit Deming Yang. 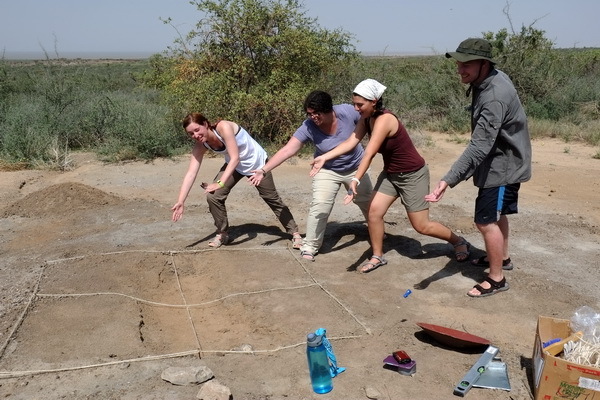 The excavation of the buried goat was carried out by Leah, Shelby, Jessica and Felix. For their project, they not only excavated almost a complete goat skeleton but also collected over 100 bones fragments during a surface survey of the area around the excavation site. 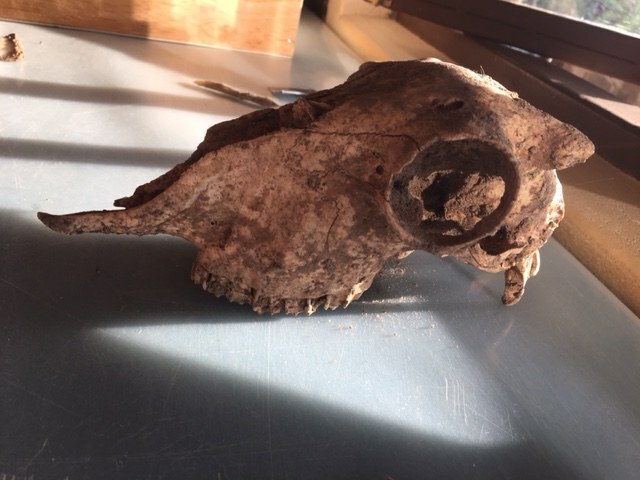 Excavated goat skull. Photo credit Leah Neiman. Leah, Shelby, Jessica and Felix, also known as the “investigoaters”, aimed to figure out how the goat they excavated died. To do this, they first looked at the weathering of the excavated goat bones compared to the surface collection bones. Since the surface bones were much more weathered than the goat bones, the goat was likely buried soon after death. Also, the “investigoaters” found cut marks on 13 of the goat bones but no chew marks on any of them. A large chert core (a common raw material of stone tools), along with flakes from the core, were found buried next to the goat skeleton. Thus they concluded that the excavated goat was likely butchered for food! Cut marks found on an excavated goat bone. Photo credit Leah Neiman. Another project done by Maria and Izzy focused on the correlation between body size and chewing rate. For data collection, Maria and Izzy measured the chewing rate of various herbivores. Along with the help of the other students, Izzy and Maria were able to collect an average chewing rate from 5 domesticated species found in Ileret. To predict the body size of the various herbivores, they also measured the length of the second molar (M2) from skulls in the lab. 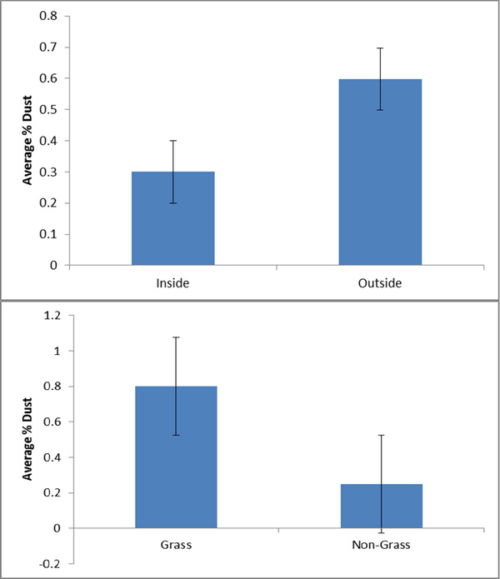 By putting together both the chewing rate and the body size estimates, they were able to see the relationship between chewing rate and body size for all 5 species. To learn more about this project, check out TA Deming Yang’s latest blog found here! Izzy and Maria measuring recording the chewing rate of goats. Photo credit Deming Yang. 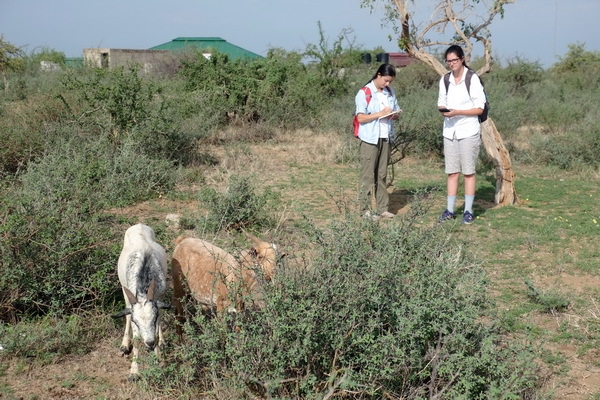 Yared, Charlie, and Goitom all worked together to compare the mesowear of goats from different sides of the lake. The phrase “you are what you eat” is demonstrated through mesowear; different diets cause different wear on teeth. Since all animals have unique feeding habits, their toothwear can be studied to make inferences about their diets. 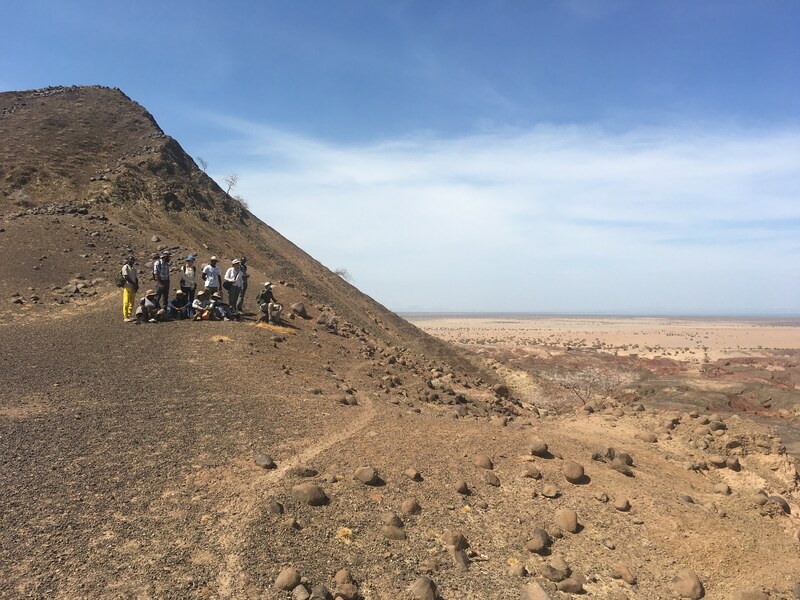 In this project, the mesowear team looked at the tooth wear of goats from both the east (from Ileret) and the west (from Turkwel) side of Lake Turkana in relation to their diets. To do this, they looked at 176 specimens, which included 72 maxillas (upper jaw) and 104 mandibles (lower jaw). 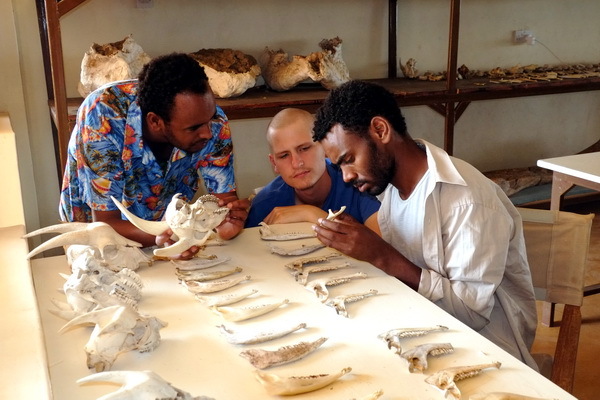 Yared, Charlie, and Goitom looking at the goat specimens. Photo credit Deming Yang. 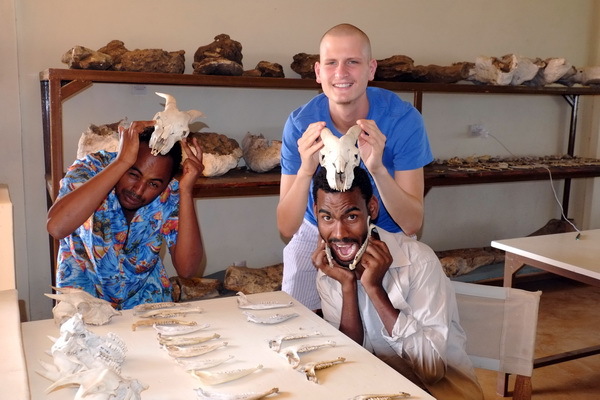 They found that there are differences in the teeth wear pattern between goats from Ileret and the goats from Turkwel. Since the Turkwel goats showed more abrasion on their teeth, this group was able to conclude that the Turkwel goats probably have more sand/dust in their diet than the goats in Ileret. The mesowear project team taking a break in the lab! Photo credit Deming Yang. Another group consisting of Amanda, Yishan and Ester investigated an area of paleontology called ecometrics. Ecometrics focuses on modeling the relationship between animals and the environments they live in. To do this, the ecometrics team took measurements on 42 different teeth specimens that were over a million years old. 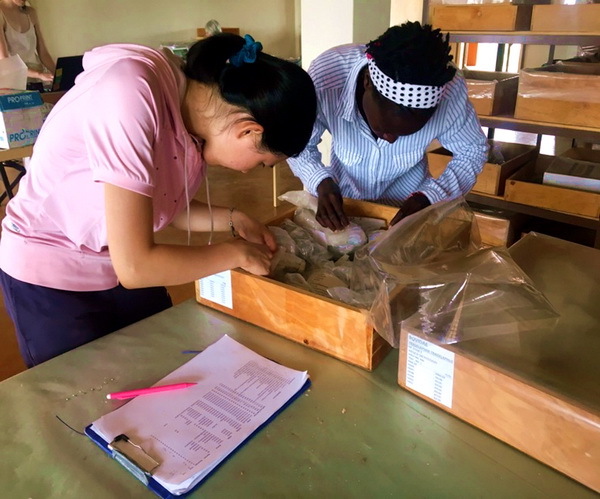 By combining their teeth measurements with mathematical models, Yishan, Ester and Amanda were able to infer the average temperature and precipitation in this area 1.5 million years ago! 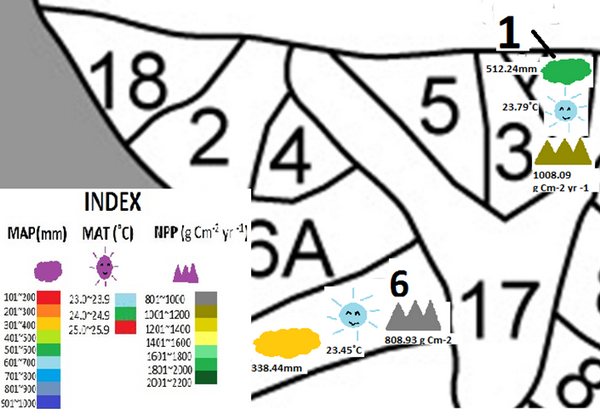 Methods such as ecometrics are important because they allow us to understand the environments of our recent past and how factors such as temperature and precipitation affect the environment. Yishan and Ester looking at teeth specimens in the lab. Photo credit Amanda Cooper. Another project conducted by Tom, Andrew, and Nicole focused on the amount of dust on plants, and the implications dust could have on animal toothwear. 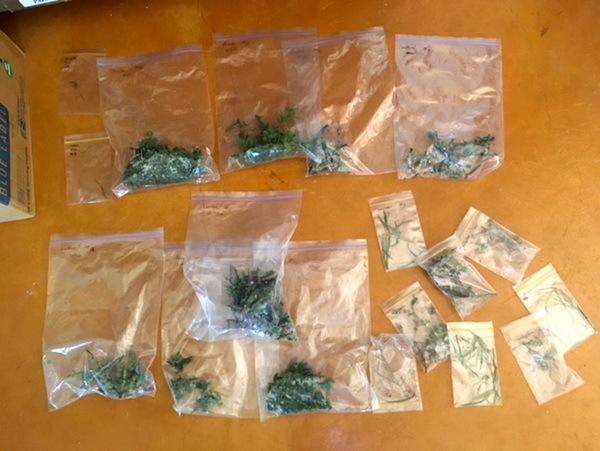 To determine how much dust herbivores in this area are consuming, the dust team quantified the amount of dust accumulated on the surface of various plants in and around the TBI compound. Some of the many plants the dust project collected. Photo credit Nicole Marron. After all specimens were collected, the dust project washed the plants to collect the dust from the plants in a filter. They were then able to quantify the percentage of dust on each plant. Nicole making sure there is no biomatter stuck to the filter after washing the plant! Photo credit Tomislav Matokovic. Overall they found that grasses outside the TBI compound have the highest amount of dust accumulation! This could have implications on the toothwear of the grazers in this area. Results from Andrew, Tom, and Nicole’s presentation for the paleontology module. 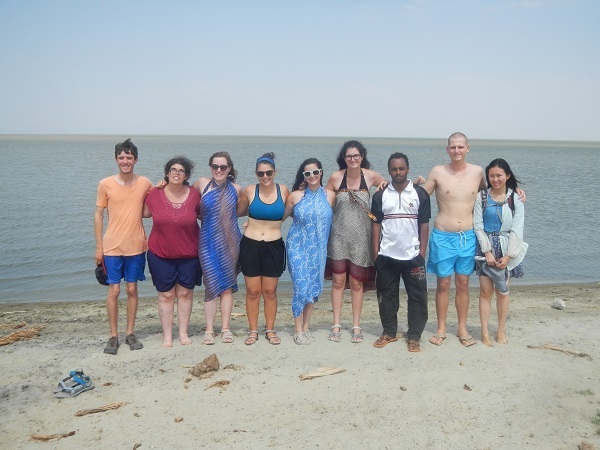 After all the hard work, students spent time relaxing on the shore of Lake Turkana on their day off. A group of students enjoying the lake! Photo credit Leah Neiman. 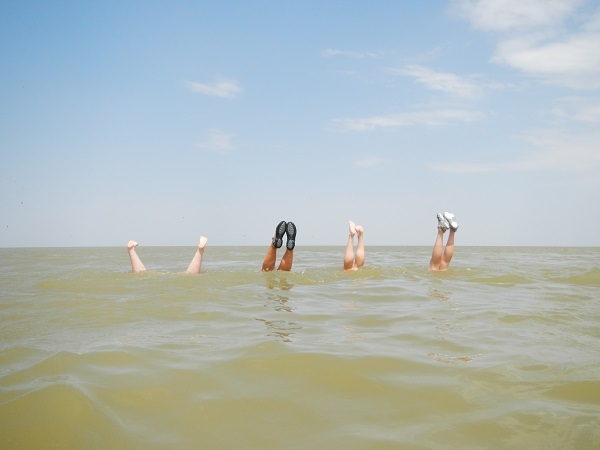 Jessica, Leah, Maria and Izzy showing off their skills in Lake Turkana. Photo credit Leah Neiman. “I always like to feel fully integrated into the local ecosystem. 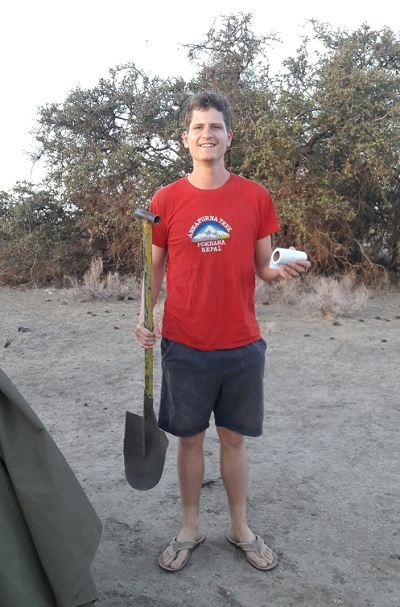 A spade and a peaceful secluded spot in Koobi Fora helped me do just that.” -Charlie Stott.